Politics: Who cares? And who is out of touch? If you can answer those questions, you can probably determine who might be the next President of the United States. In the realm if blah blah blah, Take for example, this non starter of an issue with which the media is anxious to hang Newt. (voting for someone who has a name that sounds a lizard, would be more of a reason to consider where your vote should go). Here's the bottom line, (or the middle line), as well as the difference between Newt and John E and John K. Unlike those two Presidential aspirants, who were totally out of touch with the American population, Newt did not spend $500 on a haircut, nor was he unable to answer a question about the number of homes he owns. No, quite the contrary. He wanted his wife to have nice jewelry, so he bought it on time. It's how Americans who cannot afford to buy luxury items all at once, shop for items they would like. so they buy on time, or on credit. Especially now, with this economy. And, especially since the desire for luxury items seems not to disappear as easily as everyone's money. When Ronald Reagan ran for office I wrongly thought that he and Nancy were much too extravagant for a people who had elected Jimmy Carter. Was I wrong! (Maybe for the first time in my long, storied, and tortured political career.) They were elegant, glamorous, and threw lavish parties. They were movie stars. They lived the way we all wanted to live, and more importantly, they made (a large percentage of) the American people proud of their most treasured elected official. At first we thought that Jimmy Carter was just like us. Which he my have been, on the surface. However, it turns out we don’t want “US” as leaders. It's something Al Gore never understood. Especially when he talked about the middle class and how "underprivileged" citizens aspired to be middle class. No they don't. That may be their inevitable reality. But everyone wants to be rich. To have buying power. To own things: their own home, a nice car, and yes, expensive jewelry. Oh, and maybe some food on the table and health insurance. Are there people who think that Newt is out of touch? Sure there are. But these could be the same people who think that the problems of the Middle East would be solved if Israel would go back to the 1967 borders. Don't misunderstand, I only agree with Newt when he says something nice about my work, but we shouldn't underestimate his potential. So, who cares? And who is out of touch? Maybe we should all give that some thought. Did you ever wonder what happened to all those big guys, the ones you knew in high school, maybe even college, who played on the interior line. They were probably quick enough in school to make the first team, they may have even played a couple of seasons at the college level before ruining a knee, or giving it up for Physics or Phys Ed. Those big guys, the ones who a decade later seem for the most part to have just kept growing, but not exactly in the Charles Atlas way they may have been then.. Well, I think I know where a fair number of them ended up. Second Avenue. Yep, thats the one. The one right between First and Third Avenues, in New York. (It almost doesn’t bear repeating, but you have to remember the NYC, while technically owning a Fourth Avenue, only lets it exist a paltry couple of blocks below Union Square. It has to be one of the most exclusive addresses in the city. 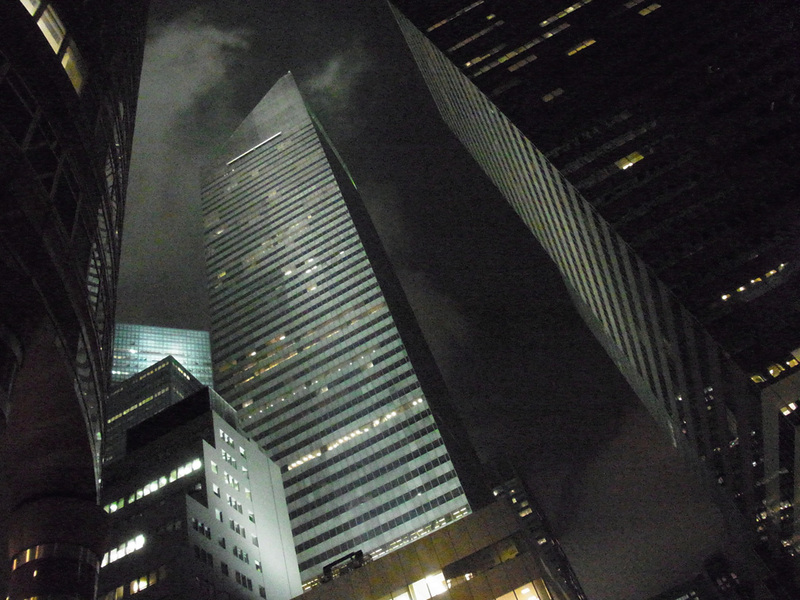 But for now, our concentration is on Second Avenue, and to a certain extent, Third. Those are the blocks I live between, in the ‘east fifties’ and I can tell you that as of tonight the place is rockin’ and all those footballers from the Clinton years have found employment as bouncers and gatekeepers at bars and clubs in the ‘hood. I would never have thought a run-on-the-mill Irish pub would need a gigantic ex-defensive tackle to man the rope line outside, but that seems to be what we have come to. I went for a stroll tonight around the block, basically looking for an excuse to smoke a cigar. 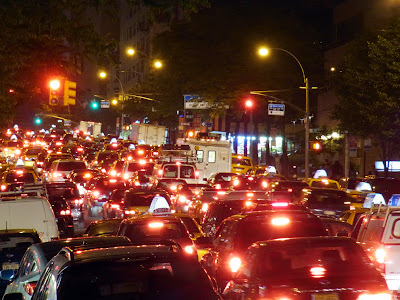 I was amazed to turn the corner onto 2nd and see a field of red tail lights stretching all the way to the tunnel (at 38th st.) The traffic was at a crawl, more befitting a rush hour than a 10pm Thursday night. But this isn’t just any ole Thursday night. This is the semi-official ( you know, like “al Ahram,” the ‘semi official’ Egyptian news agency) start of summer. It’s rained a la Noah the past week or so, everything is as green as Glockamoora, and this afternoon, after days of anticipation, the sun briefly showed itself, creating what became the most gentle and welcoming Thursday night since October. It just forgot to get nasty and cold tonight, and like any kind of insect knows, when the weather is good, it’s time to make an appearance. The clubs and bars, legions of them, many I’d never really noticed before, were doing an ear-deafening business. For me it all started at 54th street, and I walked down to 49th before heading back west, amazed to see not only the activity inside the bars, but on the sidewalks. 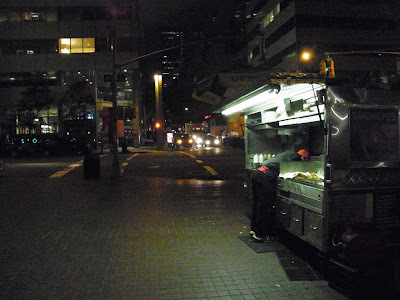 While waiting to cross at 49th street, with a couple of people who were, like me, obviously from the neighborhood, I saw three guys, in their early 30s, doing that sped up “boy am I hungry” walk, headed to MEE Noodle shop across the street. As he got within a block, the point man said “and there it IS.... MEE Noodles...” obviously pleased that in his attempt to impress his pals, he’d actually gotten them delivered. They had that self-satisfied look of someone who has accomplished a minor task, and awaits further instruction. 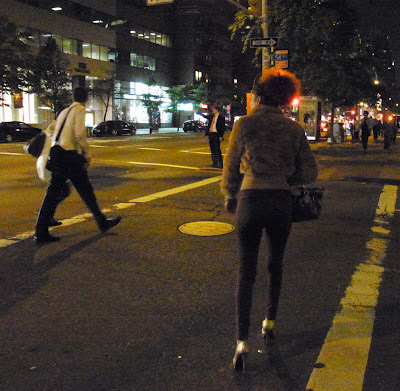 I turned to one of guys standing next to me and said “they clearly have not banned drinking in Manhattan tonight..” to which he readily agreed, and we laughed as we headed off to the Walk sign instructions. The most obvious sign of springbecomesummer was that large numbers of young adult women were wearing either shorts, tights, or other summeresque clothing, without fear of being under dressed. It was a real manifestation of a seasonal change. I expect that were it a cloudless morning in Salisbury tomorrow, some incredible line up of sunlight and stone would occur at Stone Henge. It was THAT kind of event. As I walked back up 2nd Ave. and then turned on 53rd street towards 3rd, I couldn’t believe how many new restaurants and cafes had opened over the winter. I usually walk that block often enough to know what’s going on, but this was a shocker. There must be at least a half dozen new joints, most brimming with activity, in the single block. I suppose we will suffer some kind of relapse if the forecast storms come through again next week, but even if they do, tonight was a clear sign that it IS possible to have warm weather. I know that we always go from “I hate the cold” to “I hate this muggy heat” in a manner of days, and I’m guessing the turnover is merely weeks away. But in the end, the cool thing was to see a lot of young people, hand in hand, or moreso, strolling in that “Manhattan” style in duos or small groups. 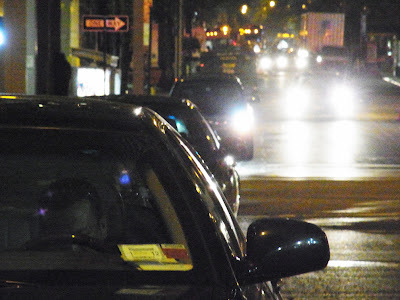 Now and then an over-indulged couple of guys would stagger into a taxi and head off into the night, leaving a view of a kissing couple just behind them. It has taken me a few days to recover from Mother’s Day. It is one of those holidays that I opposed, even when my mother was alive. It is what I think of as a “greeting card” holiday. One created by Hallmark and other related businesses, in order to increase card sales, flower sales, candy orders etc., on an assortment of specific designated days. This year, it was a reminder of what my mother said every year – “Everyday is Mother’s day. I don’t need a holiday to celebrate who I am.” Of course this was only partially true. If we forgot to acknowledge how special she was, it would distress her. And when we did say thanks, with flowers or gifts, she told us it was totally unnecessary – but she preferred the acknowledgement. Anyway, this year, my kids all called with good wishes and special gifts. Zak left me his first telephone message, and Jordan created a national holiday. That was wonderful. But David was away so I was prepared to be alone – but this did not happen. Traditionally my cousin Joanie goes to the cemetery and puts multicolored rose petals on the graves of the all the female relatives buried in the Newburgh cemetery. Having just been to mom’s grave, I was not sure what to expect. But with rose petals in hand and selections from “Gefilte Fish Chronicles, the musical” on a CD, we made our way from grave to grave. Surprisingly, or maybe not, there was a clear absence of sadness. We walked around deciding on colors and amounts, but with a sense of joy and peacefulness. (My favorite part was when we went to an unopened part of the cemetery and heaved petals over the fence). Why a cemetery is locked, especially on a holiday that celebrates life, makes no sense at all… but what does lately. Anyway, it was a lovely morning, followed by a headache and an afternoon in bed. This was not a bad thing. I needed the time in bed, and the headache was easy enough to lose. And I took a good, deep, cleansing breath. We have finally moved enough stuff into the new house to be able to sleep there. Although the first night we tried the IKEA bed we had purchased and paid someone to put together collapsed. “David”, I said, when I looked over at about 2am and didn’t see him, had just rolled on to the floor. Rather than deal with this most uncomfortable predicament, we moved the mattress on to the floor and went back to sleep. If I counted the number of trips we made to IKEA last week, to both purchase and return, I couldn’t do it on fingers and toes. But we are in, the bed is now fine, the rooms are an adorable mix of antique and IKEA, and other than the unfortunate fact that the glass on my Seeburg 100 jukebox was in pieces, everything looks fine. The cake was gorgeous. The name of Elizabeth’s business is Todaro's Exquisite Cakes. (TodaroCakes.webs.com ) They ARE exquisite. 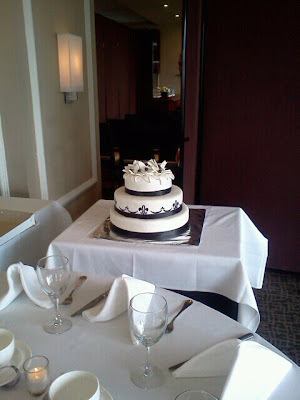 It’s in Brooklyn, and well worth a try if you have a wedding or any cake-worthy occasion. When I started to write, as often happens, I was torn between blob subjects. First, I thought the subject would be “used to”. What and Why you are thinking. Because a few days ago, when we went out to celebrate Cinco de Mayo, we went to Block Heads -- which has the best and cheapest Margarita in NYC. They also have the best and cheapest guacamole… but you cannot order food outside. You can, however, go inside to take-out and order these specialties and them outside where the margaritas can be consumed and the guacamole devoured at the same time. This has no direct connection with the subject of “used to” but it triggered a memory of when I was living at the Taj Hotel in New Delhi and (here it comes), I “used to” order my porridge from room service and have it delivered to the dining room – which was more fun for eating, than my bedroom/office. This made me think about a magazine, which had a story about the Ambassador’s residence in Paris, where I “used to” have a fabulous room overlooking quite an extraordinary garden. This took me to that place where, when watching news or talking head programs, I think, those people “used to” come to my house for dinner. As you can imagine, this was quite depressing, so I decided to change the subject. The tiny lady was struggling with two large shopping bags, It was quite a sight. She was probably about 86, and had lavender hair. But that is not the total picture. In addition to the hair and shopping bags she was wearing 4 inch red patent leather heels. The wind was blowing. She was having a difficult time balancing because the wind was very strong. She reminded me of an autumn leaf just drifting back and forth across the sidewalk. She was not a street person. The woman was adorable, smart feisty and incredibly stylish. But she was adrift. 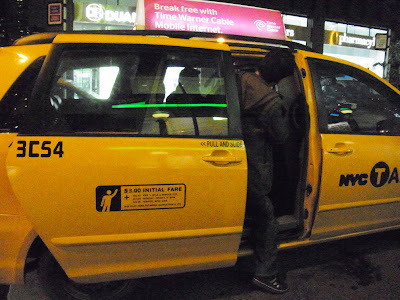 "The bus driver let me off here and said I could get a 102 to 63rd Street, but there is no bus stop”. She said it like she knew there must be a bus stop close by, but it was not where the NYC, not so helpful, public servant, said it would be. We were on 59th and 3rd. The bus stop was at 61st and 3rd. “Let me help you”, I said, thinking that if my mom were struggling it would have been nice for someone to give her a hand. 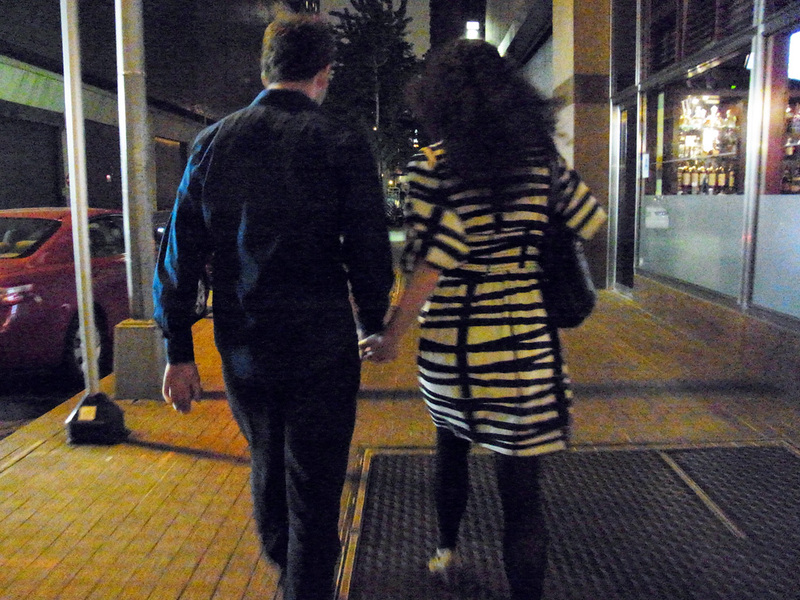 We fake argued about whether or not she needed assistance, (duh), but by then we were at 61st. “Maybe I should walk you home”, I said, thinking it would have been as easy to walk the two blocks as it would be getting on and off the bus. She said, “no I don't think so, I can hardly stand up the wind.’ So, I put her bags on the bus, we said our goodbyes, and she couldn’t stop thanking me.
" I thank you I said. It’s my mitvah of the day. A mitvah a day keeps the guilt fairy away.” And I was thinking, it’s nice to help someone without expectations of getting something back. Then I thought, (as you may have noticed, I have been doing a great deal of thinking lately), there need to be a lot more mitzvahs… and probably a lot more thinking. Some of us, actually, went to the wedding. Yes, of course David did, but that’s not news. The rather amazing fact is that when I awoke this morning I was sure I had been there as well. And this was not like my mother’s dream where she saw her long gone sisters in paper hats. This was like Star Wars, where I was transported from 54th Street to London, England. Here’s what happened. I went to sleep at about 11, with the TV set to start recording at 4:30 am. It was not my intention to watch at 4:30, it was just set to tape the festivities so I could watch it later. And it’s a good thing I did that because by 4:30 my trip had already begun. It would be foolish for you to think that I was inside the church during the ceremony. That was a seated event and even with my best Paris hat, someone might have guessed that I was not an invited guest. Instead of stopping at Westminster, I went directly to the Palace. There were millions of people blocking my way, but somehow I managed to get through the crowd and into the reception. I saved a place for David on a VIP balcony, but when he arrived he said we didn’t need to be with the VIP’s… how foolish. Maybe he didn’t need to be there but I was perfectly comfortable. 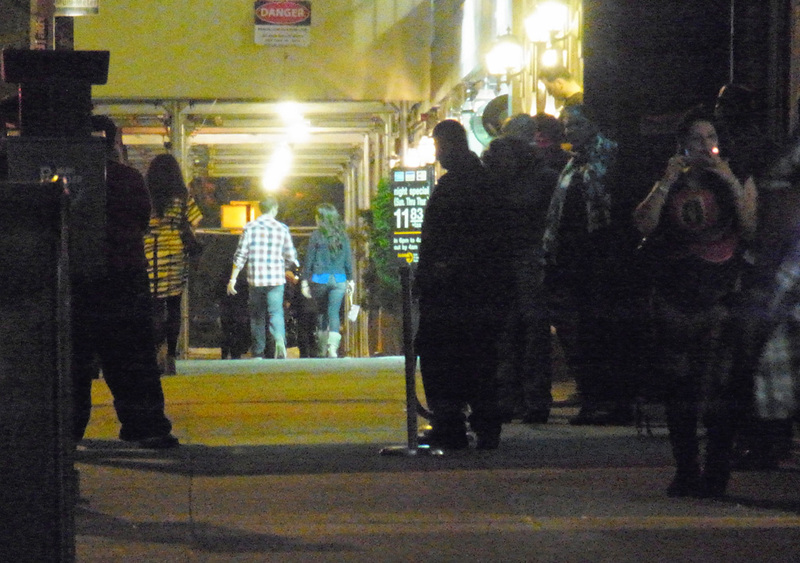 At some point I left the VIP area, to see what other interesting things might be happening. Believe it or not, I ran directly into Prince William, who had changed out of his wedding costume, and was running around, I think chasing a nephew, wearing a pirate like bandana and flared pants. Catherine was no where to be seen, but I did get someone to take a picture of me with William, but now I can’t find it. Better look for David, I thought. He was no where to be found, but I did run into a group of British folks who were hungry, and suggested we find a place to eat. It was not easy to get out of the Palace, what with all the security, so we wandered through the gardens and finally made our way to the street. People were shouting, “look right, look right” and I tried to remember to do that. It’s a confusing place to wonder about, because the cars are all going in the wrong direction, but not without challenge and a great deal of laughter. When we finally made it on to the street, I realized that I had to be back in NY for a meeting, so I excused myself and walked directly to the airport. It seemed like only seconds before I was home and in bed. The TV was still on and they were replaying parts of the Wedding and the Kiss. David had left a note saying that he hoped I had a good visit and he would see me over the weekend. He was not disturbed by my disappearance, so I decided not even to mention the wedding. We would talk about it when he got home.